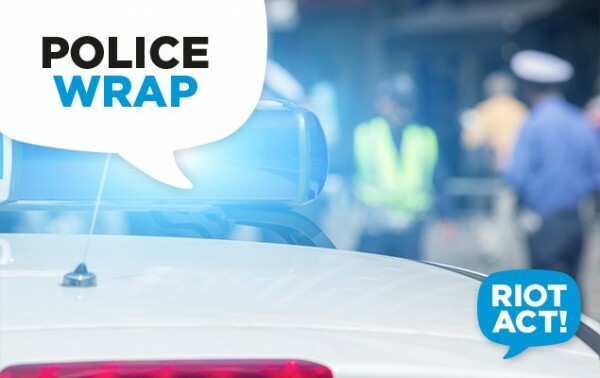 ACT Policing has charged a man in relation to the aggravated robbery at Mawson Club on Christmas Eve, arresting him at a business in Woden yesterday. The 25-year-old man from Fisher will face the ACT Magistrate’s Court today (Wednesday, 14 February 2018), following the aggravated robbery on Sunday, 24 December 2017. According to ACT Policing, the two armed men made a forced entry into The Mawson Club in Heard Street around 3 am on Christmas Eve. One man was carrying a firearm and the other man was carrying a taser-like weapon. Police state that the unknown men threatened the manager and security guard and then left the club with an amount of cash. Following an investigation by the Criminal Investigations team, officers arrested a man at a business in Woden yesterday. The 25-year-old was charged with aggravated robbery (offensive weapon), two counts of possessing/using a prohibited weapon without authorisation and two counts of common assault. The Mawson Club robbery is just one of a string of similar crimes committed across Canberra. Statistics from the ACT Policing 2016-17 annual report show an increasing tide of armed robberies and burglaries, and declining clean-up rates in those areas. In 2016-17, there were 121 armed robberies and 112 other robberies for a total of 233, compared with 185 four years ago. There were 2,522 burglaries, up from 2271 in 2012-13. Police are urging anyone who may have any information that could assist police to contact Crime Stoppers on 1800 333 000, or via the Crime Stoppers ACT website. Please quote reference 6214302. Information can be provided anonymously. Congratulations to ACT policing ! You guys rock!